We’d love your help. 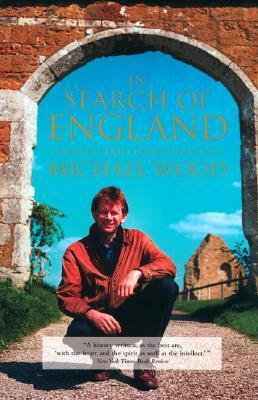 Let us know what’s wrong with this preview of In Search of England by Michael Wood. England is the birthplace of many immortal legends told around the world: King Arthur and Camelot, the Holy Grail, Robin Hood, the mysterious Isle of Avalon. But are these famous stories based on historical events and actual people? And what do they tell us about the character and origins of the Anglo-Saxon world, a culture that helped shape American identity? In his absor England is the birthplace of many immortal legends told around the world: King Arthur and Camelot, the Holy Grail, Robin Hood, the mysterious Isle of Avalon. But are these famous stories based on historical events and actual people? And what do they tell us about the character and origins of the Anglo-Saxon world, a culture that helped shape American identity? In his absorbing new book, Michael Wood examines the roots of English history. Peeling back the layers of literary and oral material that have accumulated over the ages, he offers a fascinating series of rich stories--part history, part myth--that, directly or indirectly, touch on questions of English history and identity. He looks back at the legends surrounding Alfred the Great, King Athelstan, the lost library of Glastonbury, and more. Wood's emphasis is the Early Middle Ages, and the first two sections of the book offer deep excursions into particular moments in the history of that era. In addition to recounting some well-known legends, Wood considers the manuscripts and other primary sources of historical information on which they are based, assessing the validity of existing documentation, fleshing out historical contexts, and considering the treatment throughout history of these stories by famous writers, poets, and moviemakers. In the third part of In Search of England, Wood writes about places that illuminate interesting aspects of early England: Tinsley Wood, near Sheffield, which has been claimed as the site of Athelstan's great victory against the Celts in 937; a farmhouse in Devon which has been occupied since Domesday and possibly long before; and the village of Peatling Magna in Leicestershire, scene of an extraordinary confrontation with King Henry III in 1265. These are the places and events that offer a complementary version of the history that is discussed earlier in the book. To ask other readers questions about In Search of England, please sign up. You may think, then, that the search has been fruitless. Just a series of unsubstantiated leaps of the imagination. But to me, it sums up the joy of historical research. I can't pretend that my long trawl through the documents and landscape history of these two South Yorkshire parishes has brought me much closer to understanding the dramatic events of the tenth century. But what it did do was illuminate a corner of the English landscape. What I carry with me from my search is a sense of the layers of our history — symbolized in concrete by the Roman road, the canal, the Victorian railways, and the motorway (itself destined to be ancient one day). And there are the layers of history in terms of people's lives, too: Arnkel, the Saxon farmer of Tinsley; the medieval colonists, like the Heryng family, grubbing the forest; the metalworkers, canal engineers and railway navvies; the miners' families 'scratting' for surface coal in Tinsley Wood in the strikes of 1893 and 1984; the newcomers on the post-war housing estate at Brinsworth; Reverend Gibson and his dwindling flock at Tinsley today. But on this particular journey through time, two things especially stick in my memory: the ancient chapel of Tinsley with its mysterious predecessors, whose Victorian ghost still stands under the viaduct; and above all, Tinsley Wood itself — the magnificent forest of the Domesday Book, whose origins must lie even before the Bronze Age, in the wild wood which covered Britain after the last Ice Age. The forest still seen by Joseph Hunter in the 1820s, with its glades and walks, 'where the grandeur of solitude may be felt'; now just a straggle of trees along a municipal golf-course, in earshot of the unceasing noise of the motorway. To me it seemed an irretrievable distance. You make a stab out of the fragments which have survived. Occasionally, with people like Alfred, you think you're getting through to their real feelings. 'No, not really,' I said. But of course the truth was I didn't know them well enough to be able to begin to know them — if that doesn't sound too much of a contradiction. To know how Bede thinks, you have to start by sinking yourself into his beautiful, clear, simple Latin. A task beyond me. And a lifetime's work. That's what it means to be a true scholar. Excellent-informative, engaging, fascinating information linking our present day with our past.I loved it! Originally published on my blog here in April 2001. Like every nation, England has its collection of historical mythology, which is of varying truthfulness. This collection of essays is mostly about this subject, the famous and the less famous - Arthur and Robin Hood, on the one hand, to the survival of ancient crafts ("the last bowl-turner of England"), to turning points in English history. Though England is the unifying theme, the collection of essays is not sufficiently focused to make them re Originally published on my blog here in April 2001. Like every nation, England has its collection of historical mythology, which is of varying truthfulness. This collection of essays is mostly about this subject, the famous and the less famous - Arthur and Robin Hood, on the one hand, to the survival of ancient crafts ("the last bowl-turner of England"), to turning points in English history. Though England is the unifying theme, the collection of essays is not sufficiently focused to make them read as though they were specially written for this book, and there plenty of things which could have provided interesting material but which are not covered - Magna Carta, Simon de Montfort and the English Parliament, and so on. A wonderful exploration into the history of England, social, religious, culture and how, as anywhere else in the world the present is always shaped by the past. "THE FUTURE IS ONLY THE PAST GOING PAST THE PRESENT ON ITS WAY TO BECOME THE FUTURE"
Erudite, scholarly and extremely readable. If you want to know where England came from and the history of what has shaped the way we are now, you can do no worse than to add this book to your reading list. Engrossing. Particularly fascinated by the chapter on the destiny of Glastonbury Abbey's books after the Dissolution. But it's all a wonderful read, full of originality and insight. Splendid, a simply splendid read. A wonderful book full of English life, legends, and history, with the majority focused on early medieval England, my favorite. Anything Michael Wood has written is fabulous, extraordinary, etc. Love this man's work & which my library had some ebooks of his or audio. A book of the TV series but none the worse for that. No great insights into the past but a useful compendium of the times.